To everyone’s surprise, the Taig team has just released an iOS 8.3 jailbreak to the public. 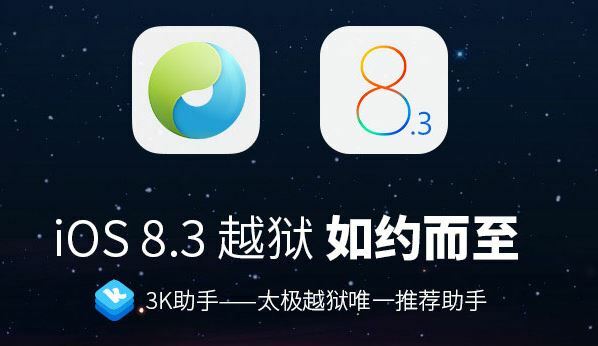 Not Pangu, who recently demoed the iOS 8.3 jailbreak at a conference, but TaiG, who stated that they’re more interesting in an iOS 9 jailbreak has gone ahead and released an iOS 8.3 jailbreak. The brand new iOS 8.3 jailbreak is currently available for download and it will jailbreak any iOS device running iOS 8.1.3 to 8.3. Unfortunately, TaiG 2.0 only supports Windows machines for now. If you don’t have access to a Windows machine, then you’ll have to wait a while for the Mac version or use a Virtual Machine tool. This jailbreak isn’t perfected yet and you will find problems with Cydia as Saurik hasn’t updated Cydia Substrate for iOS 8.3. You can download TaiG 2.0 for Windows from our Downloads page.